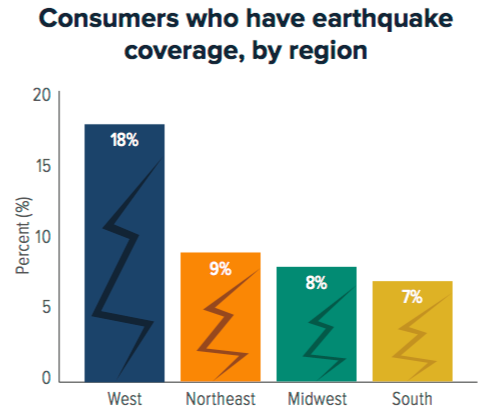 The earthquake risk exposure for California’s workers comp market is huge, as nearly every worker in the state is covered. By contrast only about 10 percent of Californians have residential earthquake insurance. 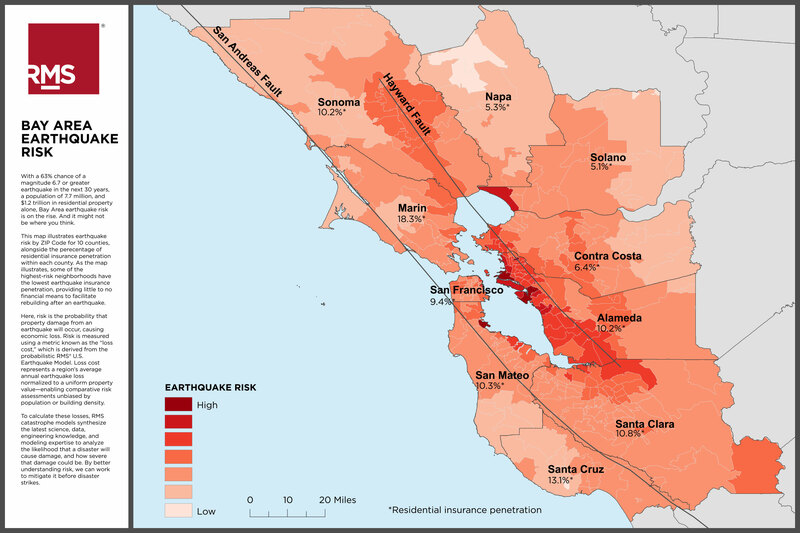 The Workers’ Compensation Insurance Rating Bureau of California (WCIRB) has recently partnered with Risk Management Solutions, Inc. (RMS), on a report quantifying the earthquake risk faced by California workers’ compensation insurers. The timing of an earthquake event emerged as one of the critical factors when assessing the risk to employees. Recent earthquakes such as the Loma Prieta and the Northridge happened during off-peak hours; had the timing been different, the human impact could have been much worse. As expected the highest concentration of employees coincides with the highest hazard regions. The I.I.I.’s California representative, Janet Ruiz briefed our membership this week on key insurance related stories. Here are some highlights. 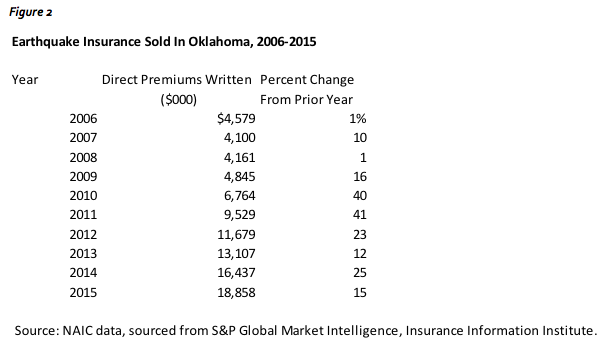 The I.I.I.’s Steven Weisbart was quoted in a Washington Post story on the insurance industry’s financial strength in the wake of Hurricanes Harvey and Irma. A FEMA/State Disaster Recovery Center opened today (September 20) at the Carolyn Sims Center in Boynton Beach (Palm Beach County) for Floridians impacted by Hurricane Irma. Florida’s Department of Financial Services opened Irma-related Insurance Village locales this week in St. Augustine, Jacksonville, Fort Myers, and Naples. The Texas Department of Insurance (TDI) released details on Hurricane Harvey’s Disaster Assistance Mobile Unit Locations. Maria made landfall as a Category 4 storm in southeast Puerto Rico Wednesday. The governor’s spokesperson said ‘this is a total disaster.’ The same evacuation centers used for Irma are filled with thousands of people according to CNN. The LA Times offered these earthquake preparedness tips in the wake of the deadly 7.1 quake that struck Mexico City on Tuesday. 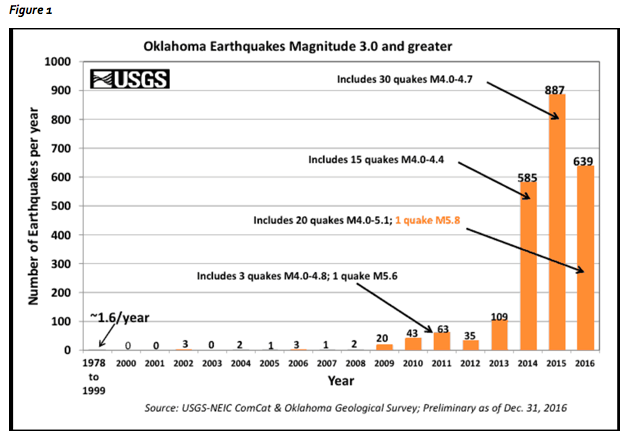 Politico posted last week an in-depth story on how Oklahoma’s earthquakes could adversely impact the U.S.’s energy supplies. It was written by the author of Quakeland: On the Road to America’s Next Devastating Earthquake (Dutton 2017). Dr. David Harkey will succeed Dr. Adrian Lund in January 2018 as president of the Insurance Institute for Highway Safety (IIHS) and the Highway Loss Data Institute (HLDI). As the death toll from Saturday’s devastating 7.8 magnitude earthquake in Nepal continues to rise, we’re reading about the health threat facing survivors. In addition to the injured, an estimated 2.8 million people have been displaced by the earthquake as many are afraid to return to their homes. The United Nations (UN) has launched an urgent appeal for $415 million to reach over 8 million people with life-saving assistance and protection over the next three months. Strong tremors have damaged infrastructure, including bridges and roads and telecommunications systems. Transport of fresh water has been interrupted and fuel is running low in many areas. The UN also reports that an estimated 3.5 million people are in need of food assistance, of which 1.4 million need priority assistance, while 4.2 million are urgently in need of water, sanitation and hygiene support. Indeed, the earthquake is expected to inflict at least $5 billion in total economic losses — that’s more than 20 percent of Nepal’s gross domestic product — and could end up exceeding the country’s GDP. Not surprisingly, insurance penetration in what is one of the world’s poorest nations is extremely low, as the I.I.I. explains here. Information on the most deadly and the most costly world earthquakes is posted here. December 26 marks the 10th anniversary of the Indonesian earthquake and tsunami which killed more than a quarter of a million people in Indonesia, Thailand, Sri Lanka, India and other countries surrounding the Indian Ocean. A decade later, it’s perhaps surprising to read that weaknesses remain in the tsunami warning system across the region. Yet maybe the best protection for residents living in tsunami-vulnerable areas is to learn natural tsunami warning signals and which areas have the highest flood risk. -Loud roar from the ocean, similar to a jet airplane, explosion or sudden, intense rainfall. Identifying evacuation routes — creating hazard and evacuation maps showing the quickest and safest routes to higher ground or other safe areas — is also a key recommendation. Allianz notes that it is critical to involve government and emergency responders when developing these maps. Education and awareness among residents in tsunami-prone areas then, can play as important a role as instrument-based tsunami warning systems. In addition to high mortality risk, earthquakes and tsunamis can cause significant insured property damages. While insured losses from earthquakes and tsunamis amounted to just $45 million in 2013, this was far below the record $54 billion recorded in 2011, according to facts and statistics compiled by the I.I.I. On March 11, 2011 a devastating tsunami hit the coast of northeast Japan, triggered by a powerful earthquake approximately 80 miles offshore. The quake and tsunami caused $35.7 billion in insured damages, according to Swiss Re. Also, early in 2011, a powerful earthquake struck Christchurch, New Zealand, resulting in $15.3 billion in insured losses. 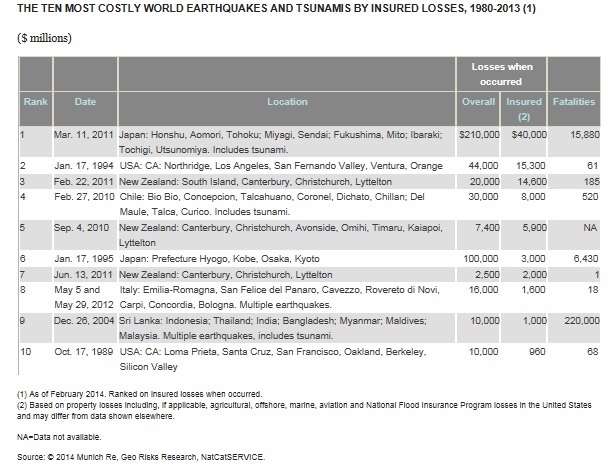 The Japan and New Zealand quakes are among the 10 costliest world earthquakes and tsunamis, based on insured damages, according to Munich Re.